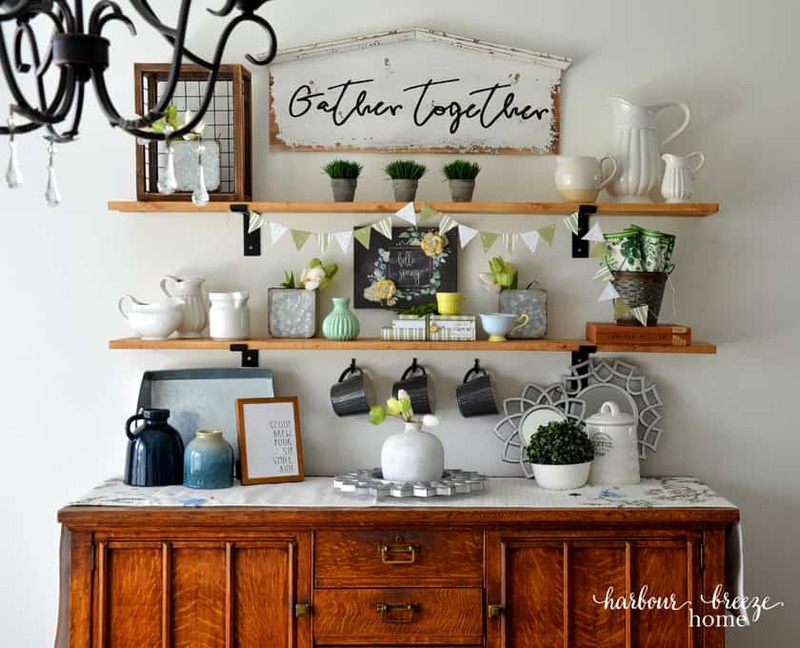 This super quick project will add a festive spirit to any space. 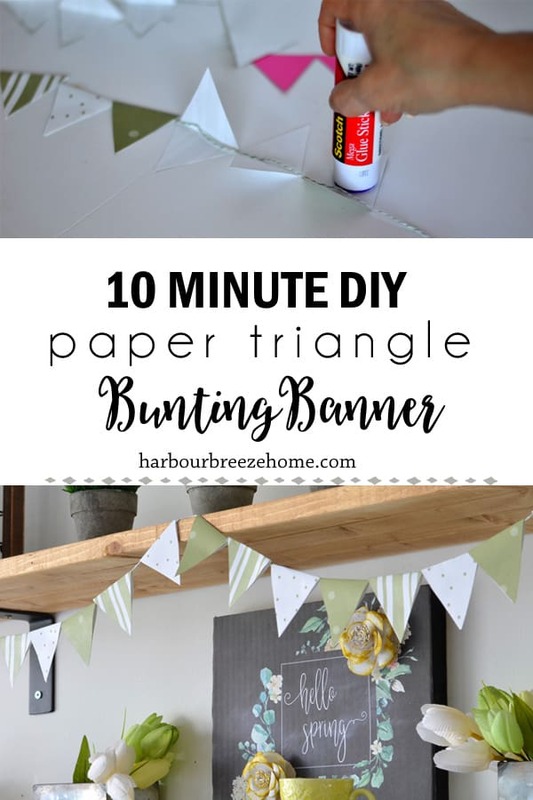 In only about 10 minutes, you can make your own DIY paper triangle bunting banner and hang it up! When I’m thinking of changing decor for the season, I try to be creative in using things I already have. 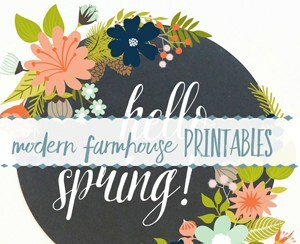 Since paper is a staple in our home, printables are often my first thrifty solution. This Spring, I’ve also turned some printables into pillows and covered some books. Since I already had my pretty scrapbook paper out, I also decided to add a little garland to my Dining Room Farmhouse shelf. 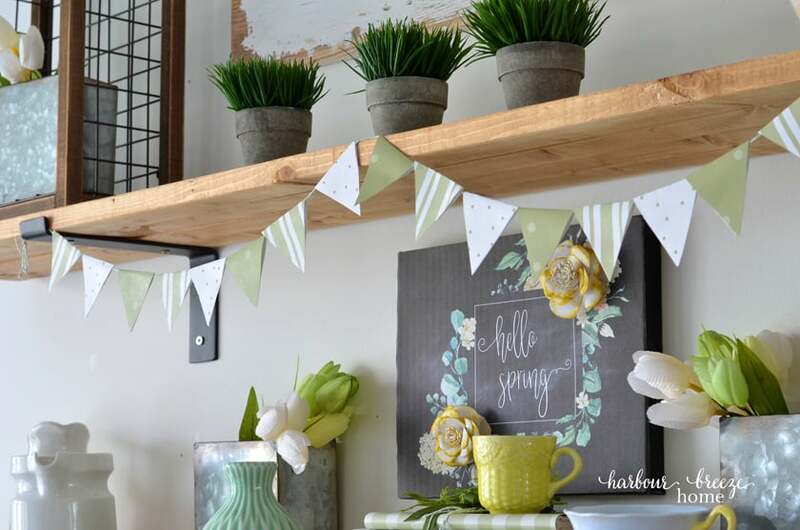 Paper garlands can add a cheery feeling to any space in a home! 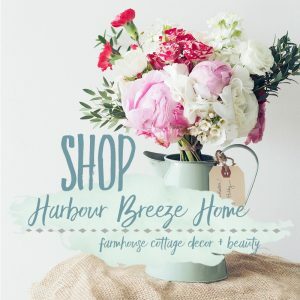 Disclaimer: This post contains affiliate links for your shopping convenience. I was overly generous when choosing paper, and cut WAY too many strips! 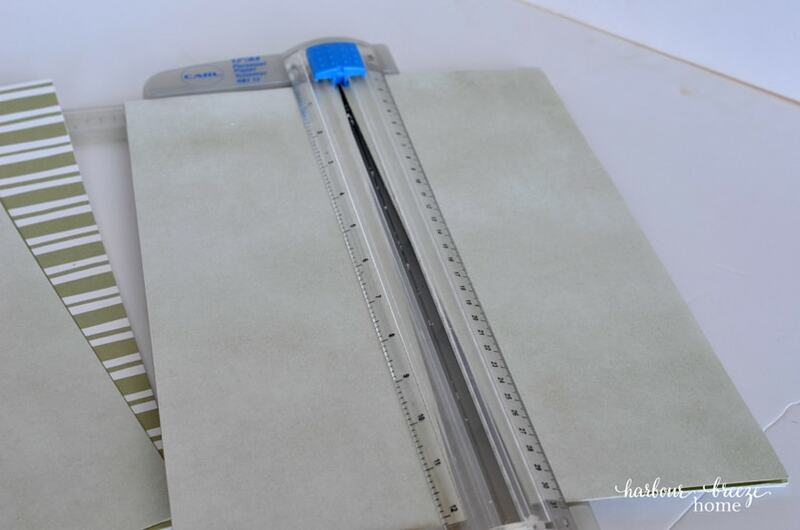 Step 2: Fold each strip inside out and mark where cuts should be made. Then, using a pencil, I drew where the triangle cut marks needed to be. 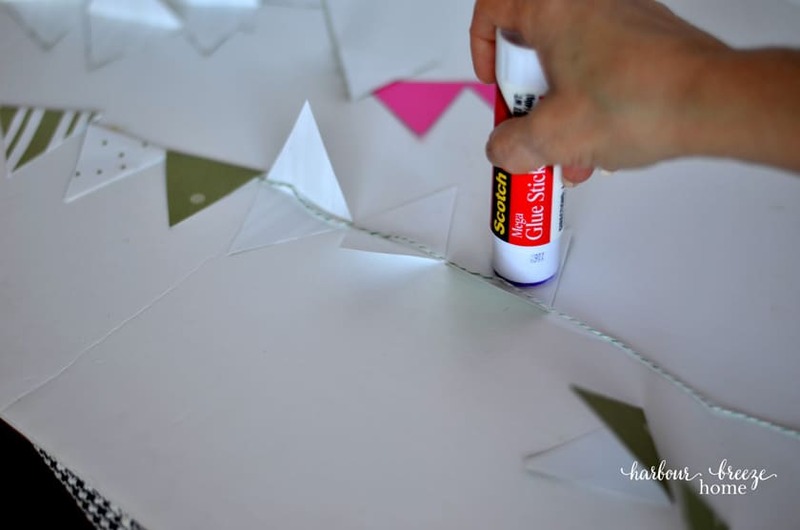 If you are making a lot of these triangles, you might find it beneficial to make a template of the cut marks using a piece of cardstock. Just don’t cut the triangle all the way at the top or you’ll cut apart your template! 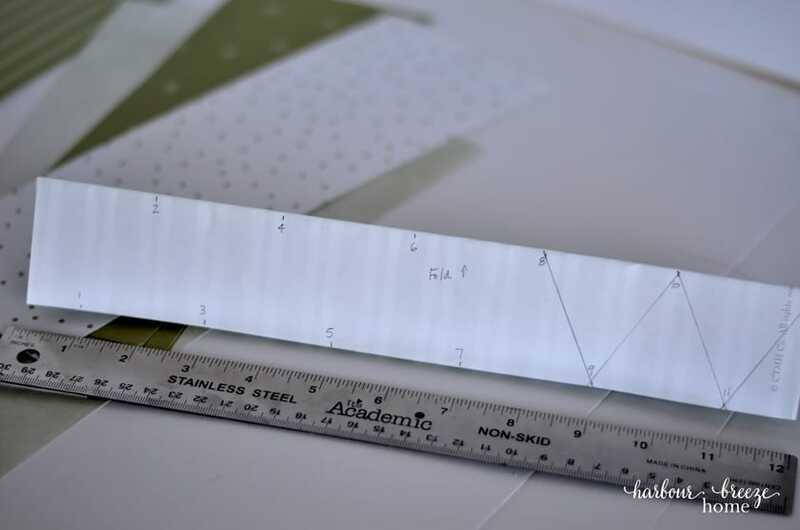 Step 3: Measure out the string to desired length and glue on the triangle pennants. 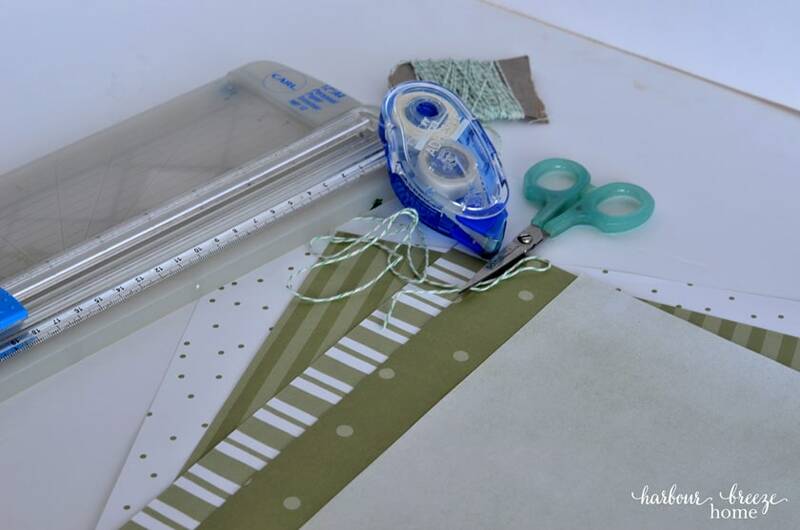 Once you have enough patterned triangle shapes cut, choose a layout design and glue them on to the string. Lay it down with the fold at the top, place the string in the fold, rub a glue stick on one side and glue it down. I loosely tied a loop into each end that could be attached with a nail in a wall. But in this case, I simply laid the string in the bracket of the shelf. A small piece of scotch tape does the trick in holding it up in the middle. 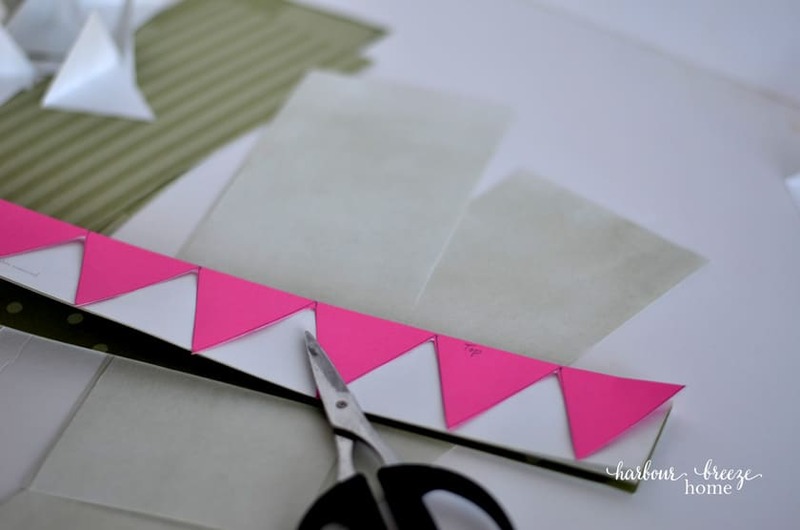 Turn it into a celebration with a paper bunting banner! 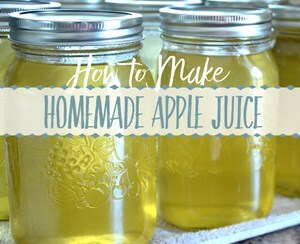 Attach one to the front of the gift table for a bridal shower. Use old book pages for a farmhouse look and hang it in your office window, the Christmas tree, or fireplace mantel. 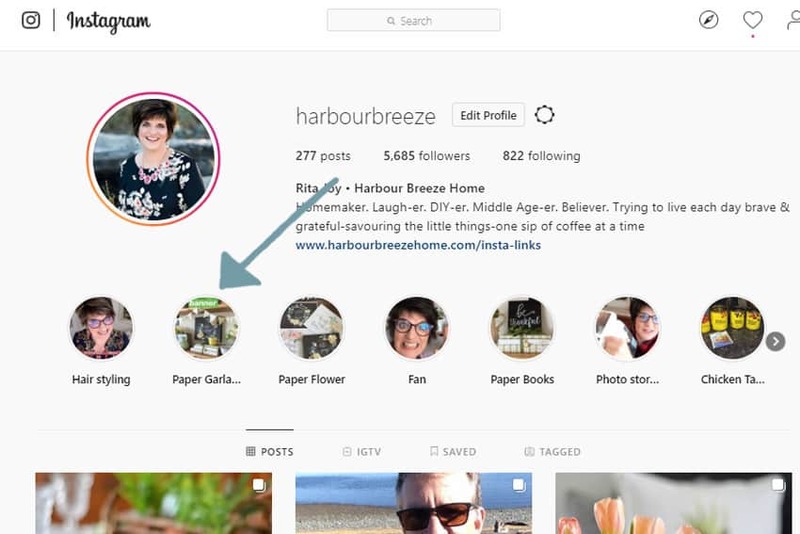 Head to my Instagram channel and click on the highlight called “paper garland”. You can see the step by steps being done in real time! This is SO pretty, and I love the green paper you used. Green is always a head-turner for me! Pinned!